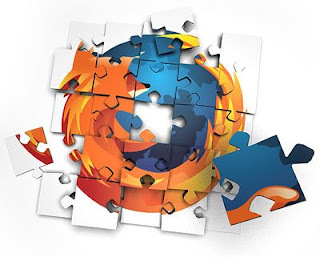 Firefox 11 beta is now released and Firefox 10 is now released as a stable version. 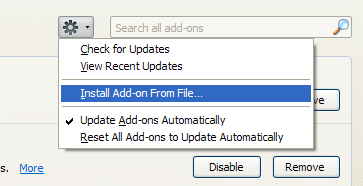 Many of Internet Download Manager users find it very difficult to go with Mozilla's rapid release schedules because of IDM Firefox add-on is not compatible with latest Firefox builds as soon as it releases. 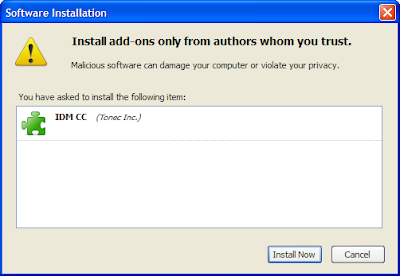 Well, I have been giving my stupid-blog readers IDM Firefox add-on as a downloadable XPI file as quickly as I can.
.:: Download IDM CC for Firefox 11 and 12 add-on here ::.
.:: Download IDM CC For Firefox 13 and 14 add-on here ::. Open Add-ons page of your Firefox 11 browser.